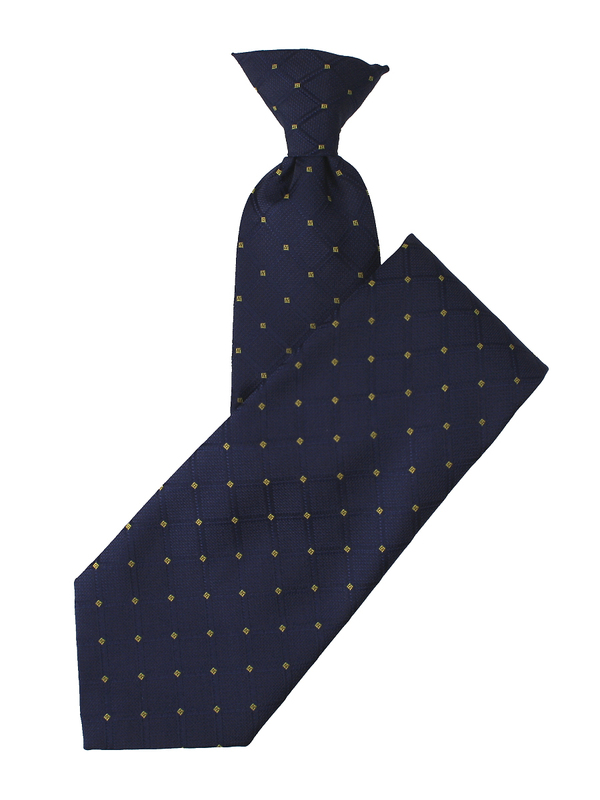 A navy blue patterned clip-on tie with a diamond design in light and dark purple. A classic necktie for any occasion. A classic clip-on tie with a small square diagonal pattern in light green and yellow.